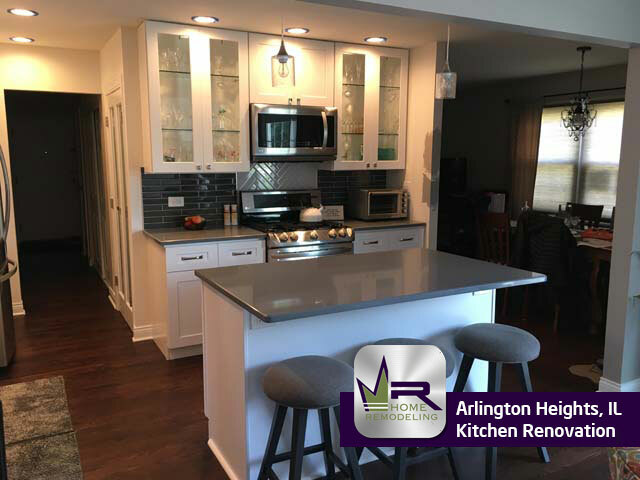 This home is located in Arlington Heights near the intersection of W Palatine Rd and W Thomas St. With a population of over 75,000 people, Arlington Heights is known for being the most populated village in the United States. 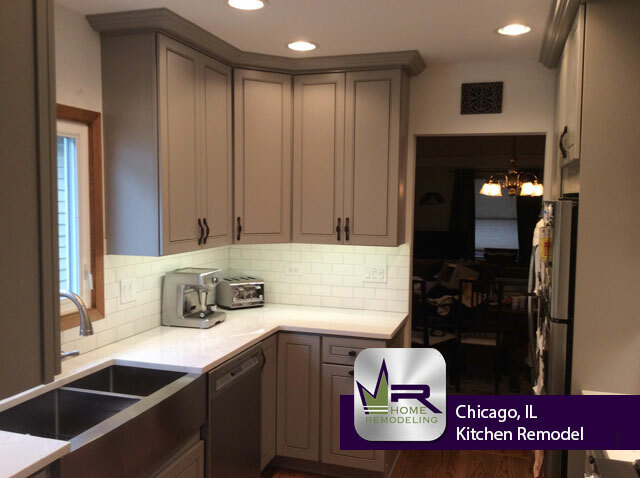 A population expansion took place during the 1950s and 1960s when more people began owning vehicles as well as the boost in the Chicago suburbs economy. 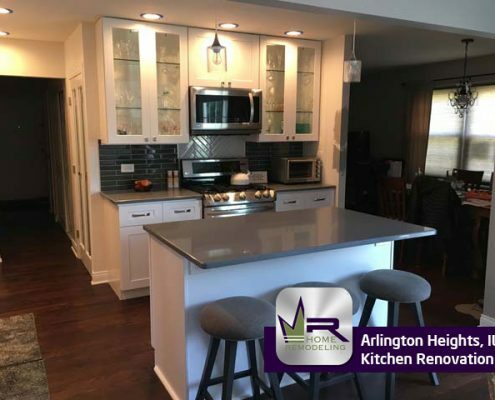 Many people from the city found themselves settling in Arlington Heights due to its easy commute to and from the city. The village is served by two different Metra Union Pacific/Northwest Lines, while Interstate 90 and Route 53 run along the western and southern borders of Arlington Heights which make getting to the city, O’hare International Airport, and other suburbs extremely easy. 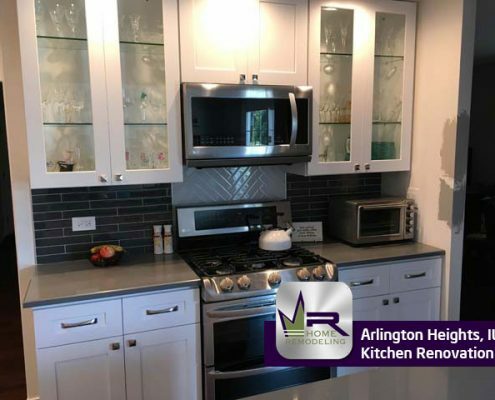 The owners of this Arlington Heights property were ready to make some drastic changes to their kitchen. 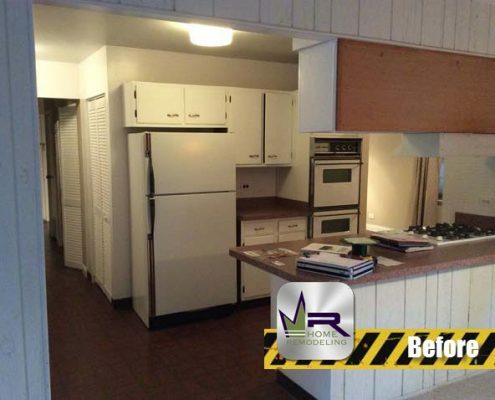 Overall, the existing kitchen was very dated. 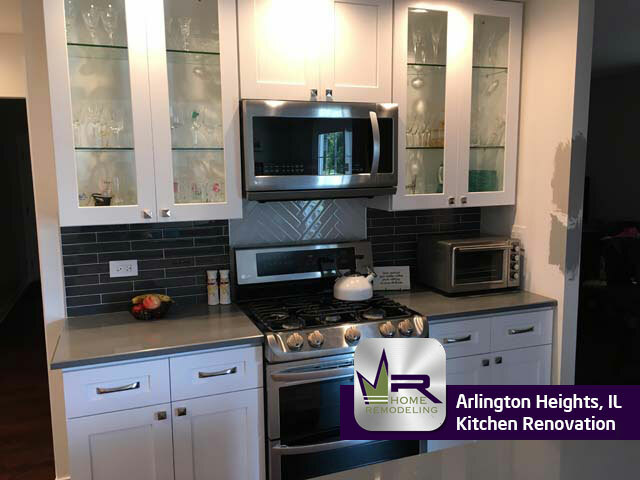 The customers wanted to create a stylish kitchen that offered convenience and practicality to their everyday life. 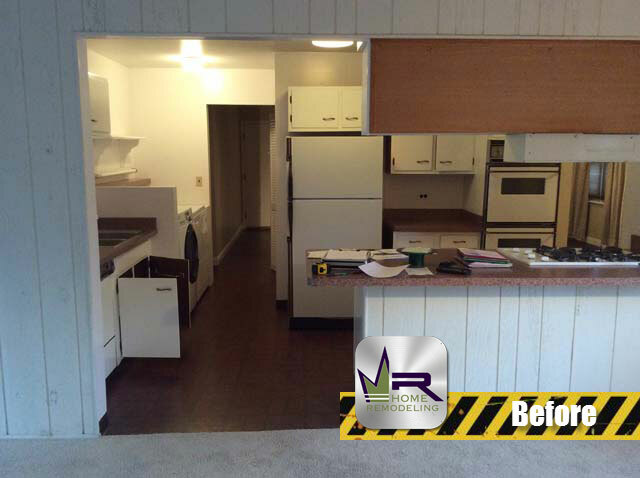 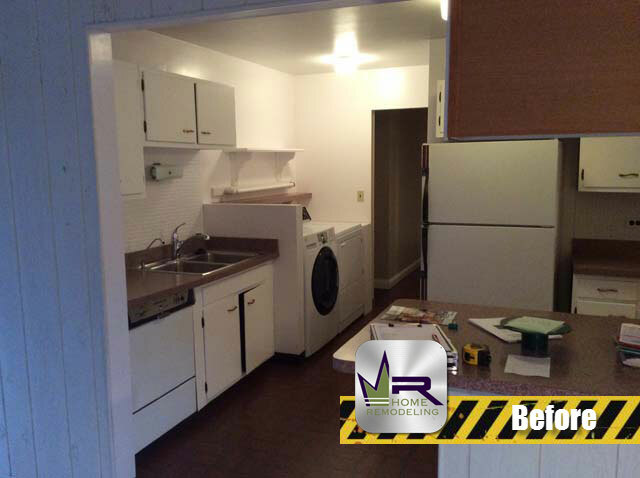 This remodel began with the removal of all appliances, cabinetry, tiling, flooring, and demolition of the partial island. 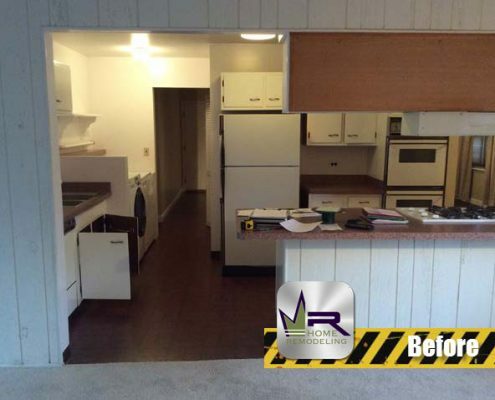 This change would allow for a new island space to be built that would be much more efficient and make the kitchen much bigger. 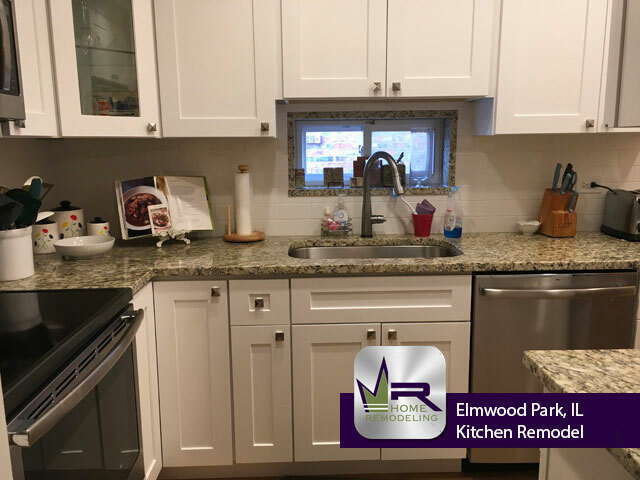 The main goal of this kitchen renovation was to create a kitchen that would no longer be a hassle to use while making it modern and luxurious. 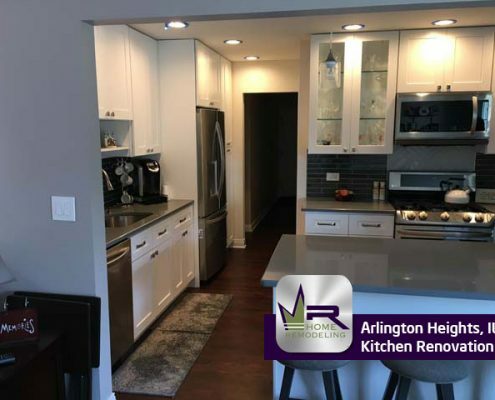 Regency successfully created the kitchen of this couple’s dreams and so much more. 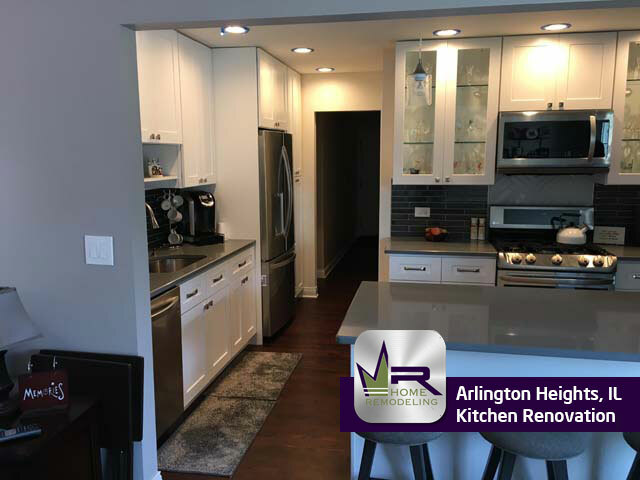 Every aspect of this kitchen space was updated, from the countertops, to the appliances, to the flooring. For the countertops, Regency installed Quartz Brushed Flannel tiling, while Top Hat Color Wave tiling was used for the backsplash. 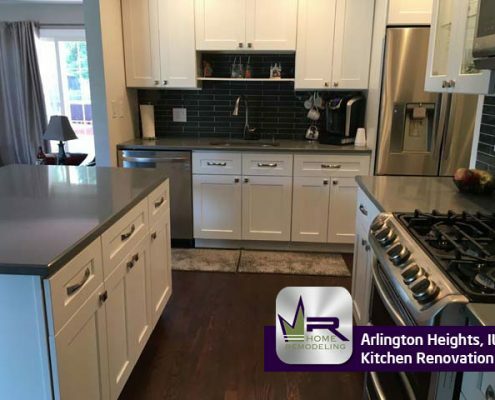 These two finishes give the kitchen a very clean and sleek feel. As for the cabinets, White Shaker Style cabinets were used that creates a more welcoming atmosphere through the new brightness from the cabinets. 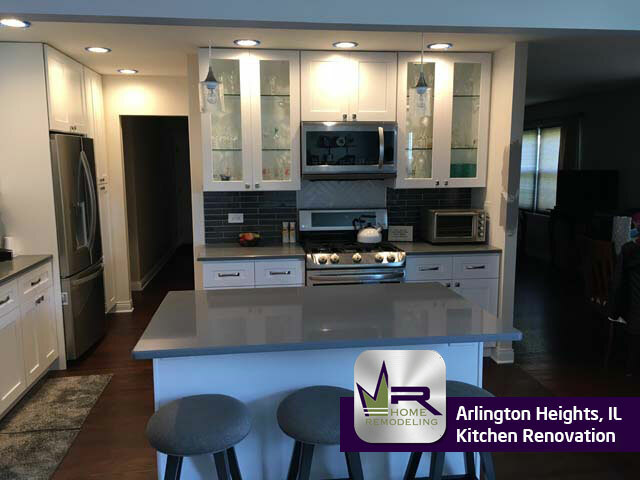 The contrast between the countertops and cabinets achieve a very modern aspect, a style that will not go out of style. 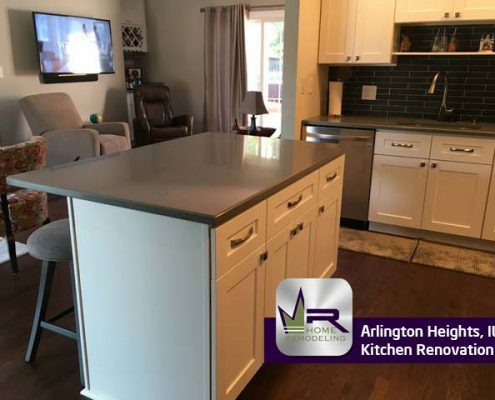 LG stainless steel appliances were installed to further create a luxurious appearance, for example, the refrigerator, stove, microwave, and dishwasher. 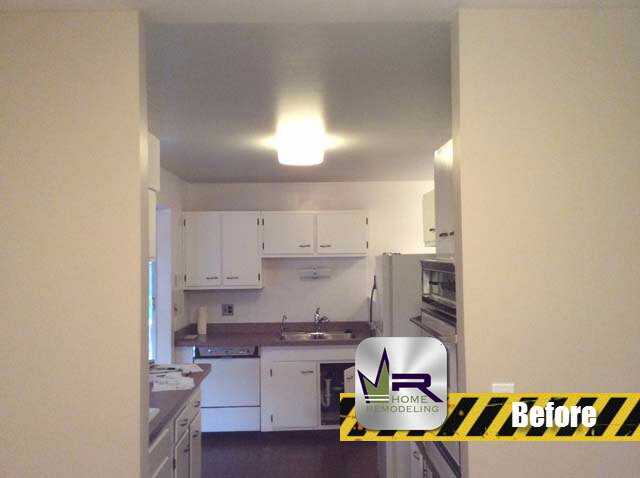 Delta products were used for smaller fixtures while Sterling was used for the sink. 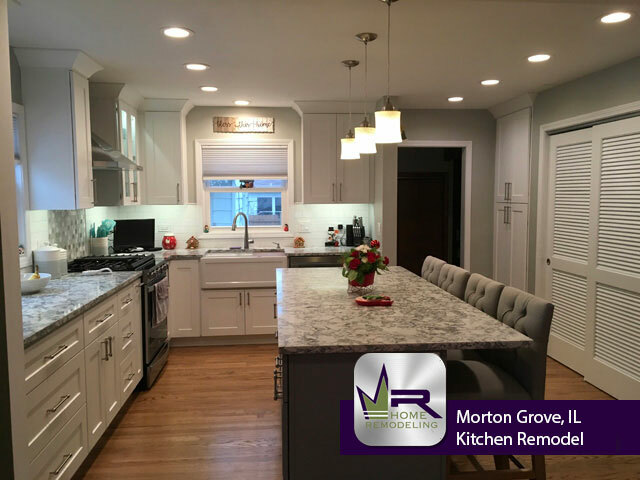 Overall, this kitchen remodel is everything the customers hoped for and so much more. The new look provides not only an elegant style, but much more practicality for preparing meals and for entertaining friends and family. 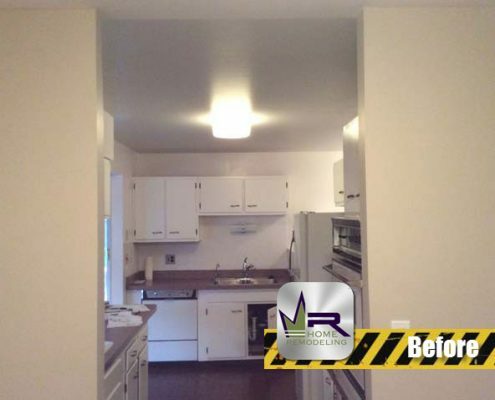 This couple will be able to enjoy their beautiful new kitchen for years on end.